Let me first say that in 40 years of selling car batteries. Both to the public also in my garage environment and now we sell“batteries online”. Consequently, I have never (touch wood) seen a single accident.Of course, apart from the holes that appear in my staffs work wear. Long ago we did not wear any protective clothing when filling and charging batteries. Although we were aware of the problems that could have occurred. These days with the advent of “health and safety”. Naturally, we take all precautions to protect our staff. I feel that I should point out a few things when Car Battery Handling. So, we wear full protective gowns with gloves. Including, goggles whenever we are charging batteries.Training all the staff in the procedures and first aid. This is important to us because we handle thousands of batteries a year. Most people who have a 12 Volt car Battery delivered. Firstly will receive the new battery in a well packed box packed. Including, some kind of protective filling we at batteriesontheweb use polystyrene and cardboard box for this purpose , (after a few years of experimenting we find that this is the best medium to use). So, you will find that it is protected with a polythene bag, sometimes when the weather is cold the plastic bag can be slightly wet this is only condensation and the battery will be fine after a wipe down with a damp old piece of cloth, just remove the bag carefully and check if the battery is the one you ordered. Please do not smoke or have any naked flames anything near when Car Battery Handling, this because Leisure Batteries give off a gas that is explosive and dangerous. When Car Battery Handling I would recommend that the unpacking is done outside or in your garage, if you must unpack in the house please put something down (old newspapers should be fine) to lift the battery onto the paper to protect your furnishings from any dried acid on the battery, lead acid will destroy clothing and furnishings and could burn the skin,(if possible wear latex gloves when handling) and certainly wash your hands thoroughly after handling. All these things are common sense just remember that the batteries need handling with care, please do not be alarmed by this advise as it is just common sense and as I have said earlier. Even the smaller car batteries are really heavy to handle. So, please use your common sense. Batteriesontheweb handle hundreds of batteries a day and by using common sense and following simple rules get by without injury to our staff. Now stockists of Trojan batteries click on the link bellow for your battery size references. We sell cheap batteries, online car batteries. Hi I would like to introduce myself. I have worked in the Garage and Battery industry now for 40 years. There is no doubt that one of most successful outcomes of the “green revolution” is the fact that we recycle almost all our old car batteries, this also includes truck batteries and other lead acid battery products. Because of the nature of lead acid batteries. Hence, they come under the control of waste regulations. Therefore, this means that companies that sell and supply batteries.Thus, have to hold a “waste transfer note” and are regulated by the relevant authorities.As a result, I believe that this is standard practice across the developed World. We transport the old car batteries to our local Recycling Car Batteries Waste facility. For this reason, this is in Leeds (UK). They then transfer them in larger quantities hence, to the Recycling Car Batteries facility. Naturally to a battery company such as Exide batteries. Who then, carry out the process. Thus, of turning the old batteries into brand new car batteries. All this is completed, in one continuous process. The car batteries are first washed and purged of the old acid. They then completely crush the whole batteries and begin to separate all the broken parts, this includes the plastic casings and lead plates, all the time this is going along a conveyor belt to the next stage. The parts are all separated and fall into relevant containers. Naturally, Is of mixed colours. Hence, the process is mixed with new black plastic.All the new batteries have black casings; this is why most Car Batteries Online are now a black The lead is also remixed with a quantity of new lead. Hence, to make the Recycling Car Batteries lead plates. And a new car battery is born from the Recycling Car Batteries that went in at the beginning of the process. This quest for re-cycling is a great success story for a greener product so much so that an American company has bought out on of Britains largest battery suppliers just to get its hands on the scrap batteries. This news is good news for the many motoring fans.Thus, who think that the future should be a mix of technologies. In the World of cars. The past twenty years alone we have seen many new developments. Of course, In the battery World. Apart from modifying the ever present free flow lead acid batteries. 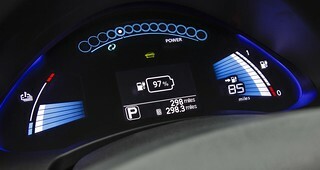 So we have seen the new battery types such as AGM and GEL batteries cropping up to serve as back up batteries. Hence, for many industries such as computer back up systems and even for the early computers that we all used. All this new technology was introduced along with need for progress and the appetite from consumers and industry for better and faster electrical equipment. This development has never stopped. Of late we have developed many new types of batteries. As a result, that were funded by Governments and large corporations. So, to satisfy the need of the ever expanding electrical and engineering projects. Whether they were large or small. The next generation of batteries was to be known as the NiMH, Nickel metal hydride batteries. Mainly for use the ever expanding miniaturization of personnel computers. These were followed by the invention of the Lithium- Ion batteries . Invented in the 1990’s for use on the Stealth aircraft in the USA. Also used in the space program by NASA, the American space agency. The latest surge in Toyota’s Prius EV development. Came when there was an urgent need to save the Earth from greenhouse gases. The main culprit is pollution from fossil fuel driven cars. So the Governments of the World. Have got together and agreed that emissions had to be reduced. This caused a frantic rush. Thus, for the car makers to come up with an alternative fuel supply. Hence, to gasoline products. Of course, the answer would be the electric car. At first car makers came up with the Lithium-Ion batteries and are still developing today. However because these cars will not travel far. Before the batteries require re-charging. Scientists are trying to come up with an alternative. One of the companies to do this is Toyota’s Prius EV from Japan. This new type of Toyota’s Prius EV battery is called the Hydrogen-cell battery and in my opinion will be the winner of this technology race in the future. The car. Toyota’s Prius EV is expected to be coming onto the market as early as 2015. Already gas stations are been prepared by adding Hydrogen pumps on their forecourts. In my opinion, yet another step forward. Pellon Tyre and Auto-centre offer car and van servicing and repairs to all makes of vehicles. Members of Unipart Car Care centres and give a nationwide guarantee. Of course, for all our work and parts. Selling General Car Tyres online from our website www.pellontyres.co.uk. Using the tyre selector and choosing your tyre size. Offering courtesy cars to local motorists who need to go to work and leave their car with us.Naturally, for work doing. Also an official MOT testing station and are members of Motor-codes. Carrying out checks for high standard of equipment and workmanship.